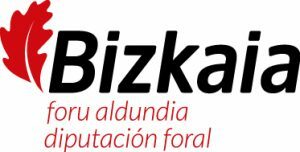 UNESCO Chair on Sustainable Development and Environmental Education of the University of the Basque Country (UPV / EHU), with the support of the Basque Government and the Provincial Councils of Biscay is conducting the research project “Ecosystem Services Assessment of the Basque Country”. The purpose of this project is to develop in Euskadi the conceptual and methodological framework of the International Scientific Programme Millenium Ecosystem Assessment. This program aims to generate scientific knowledge applicable in the public and private sectors, on the consequences of the changes that are being generated in ecosystems and their services (mostly due to the impact of territorial policies) as well as present possible response options. The project aims to be a tool for the identification of priority actions designed to avoid or minimize human impacts on ecosystems and their services and, on the other hand, highlight the policies and actions that impact positively on the conservation and sustainable use of natural capital of Euskadi. In addition, pursuing supply planning and management tools, as well as offering prospects (scenarios) on the consequences of the decisions that affect the flow of ecosystem services. Besides the political and institutional training, it is intended to value citizenship between the intrinsic values of our natural capital through the dissemination of the results of the project. This diffusion is carried out both locally, nationally and internationally. For this, the project is present in different international networks related to the evaluation of services, such as Sub-Global Assessment Network (SGA) (members), The Ecosystem Service PArtnership (ESP) (members) and Intergovernmental Platform on Biodiversity & Ecosystem Services (IPBES) (acting as observers at meetings). 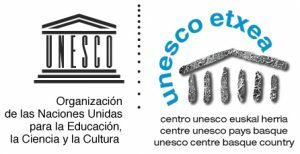 Cátedra UNESCO sobre Desarrollo Sostenible y Educación Ambiental de la UPV/EHU.